Please find the first Eucass newsletter for Fall 2016. In addition to the usual materials, you will find enclosed a couple of communications directly from our Eucass about our upcoming events. The regular section about recently published patents of interest takes a hiatus this issue since we draw your attention to theretofore unreported news concerning the release of many NASA patents into the public domain. The last Advanced Thematic Workshop on Fundamentals of Collisions of Fast Particles with Surfaces has been held in Aussois this September. It had recourse to a novel way of treating the topic, by gathering leading specialists in completely different applications, ranging from detonation of energetic materials to reentry physics, plasma propulsion or tokamak confinement. All have recourse to very similar theoretical, experimental and numerical approaches and yet had so far never interacted with one another. In the end, exceptionally interesting lectures were given and scientific exchange was extremely lively and fertile. This workshop formula will now be generalised to other cutting edge domains of interest to aerospace. Prior publications of the invited speakers and some of the presentations are available for registered participants at the event webpage. 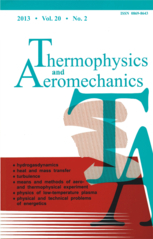 Not all the contributions have already been uploaded, so make sure to check the page from time to time..
Next year ATW (the 6th), on the other hand, goes back to the classical thematic of the previous workshops (2009-2011-2013-2015), focusing on the Fundamentals of Aerodynamic Flow and Combustion Control by Plasmas. You can find the first announcement on our website at the address https://www.eucass.eu/atw17. For the first time the workshop moves out of France to St Petersbourg, Russia. The local organiser website is available at http://onlinereg.ru/ATW-2017. Pei, Y. and Shi, B.
Zhang, S. and Li, X. and Su, Z.
Aligoodarz, M. and Soleimanitehrani, M. and Karrabi, H. and Ehsaniderakhshan, F.
Zhou, X. and Zhao, Q. and Xiang, X. and Cui, W.
Ogunbodede, O. T. and Huijberts, H.
Yu, F. and He, Z. and Wu, Y. and Hua, B.
Ac kel H. H. and Genc, M. S.
Huang, X.-L. and Zhang, C. and Lu, H.-Q. and Yin, H.
Zhang, L. and Liu, Z. and Zhang, M.
Zhou, C. and Zhu, J. and Lei, H. and Yuan, X. and Wang, W.
Cai, C. and Yang, Y. and Liu, T.
Zhong, Z. and Wang, Z. and Sun, M. and Wang, H.
Yang, X. and Hou, A. and Li, M. and Wang, R. and Li, J.
Cai, Z. and Sun, M.-B. and Wang, H.-B. and Wang, Z.-G.
Kosarev, V. F. and Klinkov, S. V. and Zaikovskii, V. N.
Volkov, V. F. and Mazhul, I. I. and Zvegintsev, V. I.
Zanoun, E.-S. and Öngüner, E. and Egbers, C.
Shoev, G. V. and Ivanov, M. S.
Gimaltdinov, I. K. and Arslanbekova, R. R. and Levina, T. M.
Dmitriev, S. M. and Doronkov, D. V. and Legchanov, M. A. and Pronin, A. N. and Solncev, D. N. and Sorokin, V. D. and Hrobostov, A. E.
Kashinsky, O. N. and Lobanov, P. D. and Kurdyumov, A. S. and Pribaturin, N. A.
Javed, T. and Ghaffari, A. and Ahmad, H.
Kuznetsov, G. V. and Nee, A. E.
Daba, Mitiku and Devaraj, P.
Cheverda, V. V. and Marchuk, I. V. and Karchevsky, A. L. and Orlik, E. V. and Kabov, O. A.
Munawar, S. and Saleem, N. and Mehmood, A.
Khasbulatov, S. V. and Pavelko, A. A. and Shilkina, L. A. and Reznichenko, L. A. and Gadjiev, G. G. and Bakmaev, A. G. and Magomedov, M. -R. M. and Omarov, Z. M. and Aleshin, V. A.
Solonenko, O. P. and Smirnov, A. V. and Chesnokov, A. E. and Poluboyarov, V. A. and Zhdanok, A. A.
Morozkin, N. D. and Tkachev, V. I.
Biryukov, A. B. and Gnitiev, P. A. A few of our ONERA readers are pointing out the last number (Issue N. 11 June 2016) of their AerospaceLab Journal. 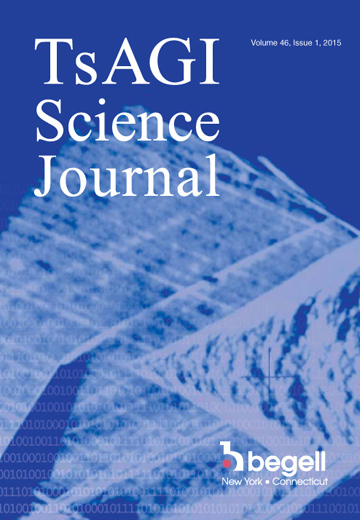 This is an electronic open access journal where the editorial board aims to keep an high publication standard. This number is focused on Challenges in combustion for Aerospace Propulsion. NASA has released recently up to 56 currently valid patents into the public domain to benefit the U.S. Industry. By making these technologies available in the public domain, we are helping foster a new era of entrepreneurship that will again place America at the forefront of high-tech manufacturing and economic competitiveness, said Daniel Lockney, NASA s Technology Transfer program executive. By releasing this collection into the public domain, we are encouraging entrepreneurs to explore new ways to commercialize NASA technologies. It is not the first time that a major actor in some technological sector acts in such a way, even if the aims could be different. Last year Toyota announced to the world that everybody could use its over 5000 patents related to Hydrogen car without paying any royalty. In the case of Toyota, the aim was to jump-start the development of Hydrogen powered cars: they depend massively from a distribution network of Hydrogen that is simply not existent at the moment. Opening their massive patent portfolio to the competitors, Toyota hopes that other car manufacturers would follow suit and that a critical mass for the deployment of a vast distribution network of the combustible gas could be reached. In the case of NASA opening their patents is possibly a way to encourage even more the private sector to invest massively into space, in a moment where governmental subsidies are being reduced.